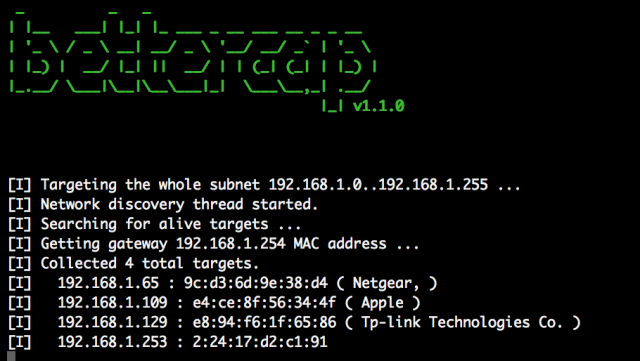 BetterCAP is a powerful, modular, portable MiTM framework that allows you to perform various types of Man-In-The-Middle attacks against the network. It can also help to manipulate HTTP and HTTPS traffic in real-time and much more. BetterCap has some pretty impressive Spoofing abilities with multiple host discovery (just launch the tool and it will start discovery), ARP spoofing, DNS spoofing and ICMP doubledirect spoofing. The other tool similar to this would be: MITMf – Man-In-The-Middle Attack Framework and specfically for SSL you have sslsniff v0.7 – SSL Man-In-The-Middle (MITM) Tool. Ettercap filters are hard to implement due to the implementation language. Ettercap is hard to extend or add modules to unless you’re a C/C++ developer. Ettercap’s and MITMf’s ICMP spoofing is completely useless in 2016. >Ettercap is hard to extend or add modules to unless you’re a C/C++ developer.